If you are a seaman and injured while in the service of a cruise ship, the owner or operator of the cruise ship is responsible for paying you what is known as maintenance and cure. Maintenance and cure consists of three things: 1) maintenance payments, which are payments to cover a portion of your living expenses; 2) the cost of your medical bills and treatment necessary for you to reach the point of maximum medical improvement (“MMI”); and 3) unearned wages, which are a portion of the wages you would have earned had you not been injured. The right to maintenance and cure is well-established in the law, and goes back hundreds of years. If a shipowner deliberately or arbitrarily fails to make maintenance and cure payments, it also may be liable for paying attorney’s fees and punitive damages as well. Maintenance and cure claims are often brought in conjunction with claims for Jones Act negligence and unseaworthiness. Although maintenance and cure is supposed to be automatic when seamen are injured, cruise lines often fail to make these payments. In some cases, the cruise line simply may claim that it is not required to make payments because the crewmember has reached MMI, or may contest the reasonableness or necessity of the crewmember’s medical care. 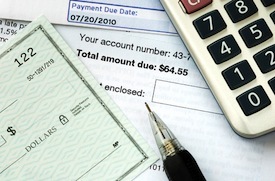 In other cases, it may admit it owes money, but dispute the amount of money being claimed. Often disputes concerning maintenance and care center around the scope of the shipowner’s obligation to pay maintenance and cure. A shipowner may claim that it provided a crewmember with medical care, but the care may be substandard and inadequate. This frequently occurs when the care a crewmember needs to treat his injury is not available in his country of origin, but the cruise line, to save money on medical care, forces him or her unfairly to seek treatment in his home country. Disputes may also occur when a shipowner pays some, but not all, of a seaman’s unearned wages or maintenance either through oversight or intentionally. Whether or not the cruise line is liable for failing to pay maintenance and cure may also depend on whether a crewmember is a member of the seafarer’s union, and the terms of the collective bargaining agreement between the cruise line and the union. Because the law is often complicated in this area, it is important that if you are a seaman and injured while working on a ship that you consult an attorney to make sure that your rights are protected and that you are receiving the appropriate amount of maintenance and cure. The Pollack Law Firm located at the Miami area has handled many cases involving maintenance and cure for crew members, and knows how to make sure that shipowner’s comply with their legal obligation to make these payments. Among the many cases David H. Pollack has handled involving maintenance and cure, he is proud to have served as appellate counsel in a landmark decision for crewmembers involving the calculation of unearned wages. As a result of that decision, Flores v. Carnival Corporation, cruise lines are now required to include tips a crewmember would have earned when calculating unearned wages. If you are a seaman or crew member who has been injured while working on board a ship, contact one of our attorneys to make sure your rights are protected.